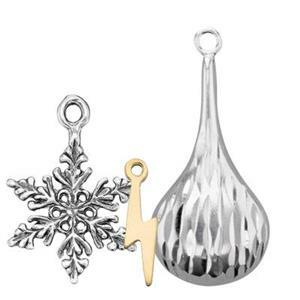 Dangle charms for jewelry making. Use these innovative findings to stand out! 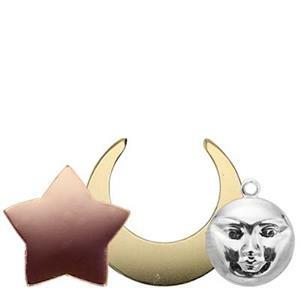 Jewelry charms shaped like moons & stars as well as zodiac charms. Shop now! 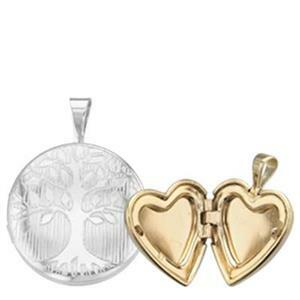 Mother's Day charms or everyday charms! Celebrate family, new babies and love. 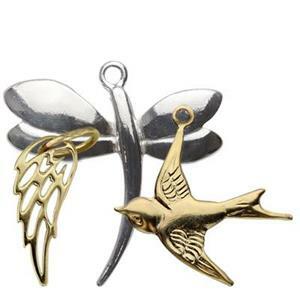 Nature themed jewelry charms like butterfly, dragonfly and bird charms. Shop now! 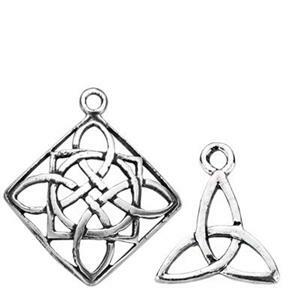 Celtic charms to celebrate all things Irish! 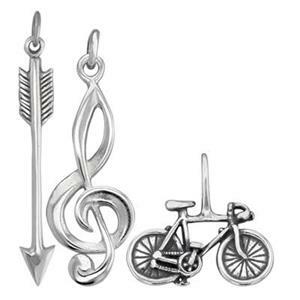 Shop our huge selection of jewelry charms now. 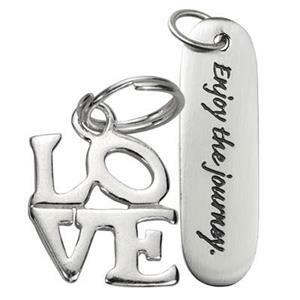 Quality jewelry charms in all shapes and sizes. Shop wholesale charms at Halstead! 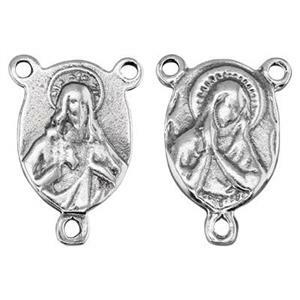 Beautiful silver pendants for making your jewelry collection. Shop now! 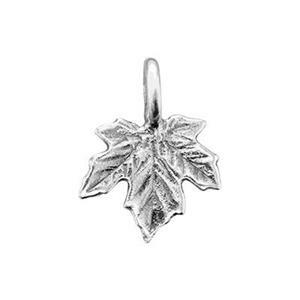 Nature jewelry charms to inspire! 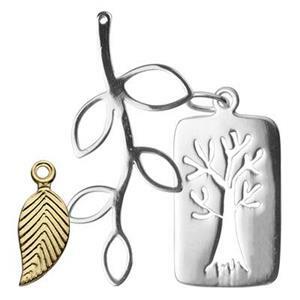 Shop flower, leaf and tree of life charms at Halstead! 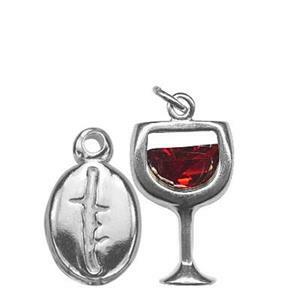 Wine charms and coffee charms plus other jewelry pieces for the things we obsess about! 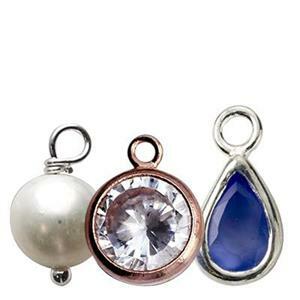 Birthstone charms or other gemstone jewelry charms for studio businesses. Shop now! 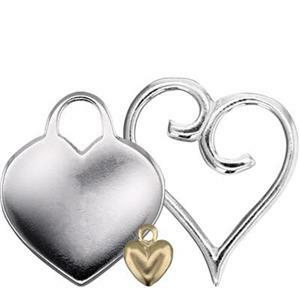 Some of our most popular wholesale jewelry charms in heart or love themed designs! Hobby, sports and yoga charms add a personalized touch to custom jewelry. Shop now! 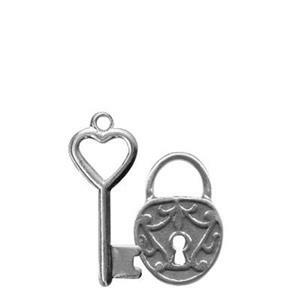 Lock and key jewelry charms symbolize love and fidelity. Shop now! Represent the job with pride. Shop occupation jewelry charms for your clients! 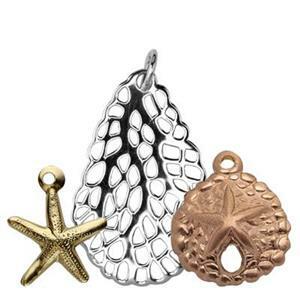 Ocean and beach jewelry charms are our bestsellers! Shop wholesale charms at Halstead! Clients love their pets! 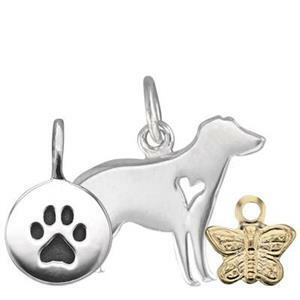 Animal jewelry charms are great sellers. Shop now! 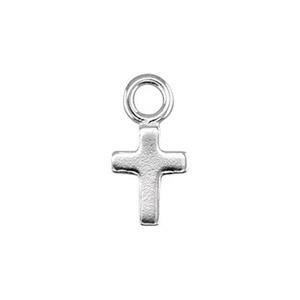 Religious charms for jewelry making that inspires us. Show your faith & spirituality. Lucky jewelry charms are symbols to bring us a little extra luck each day. Shop now! Jewelry tassels make great pendants, charms or dangles. See our silver and gold filled options! 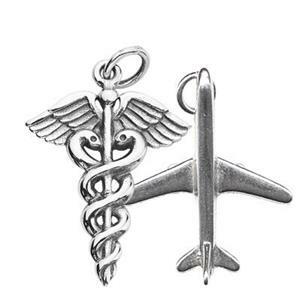 Travel charms for jewelry-loving globetrotters. Celebrate wanderlust! 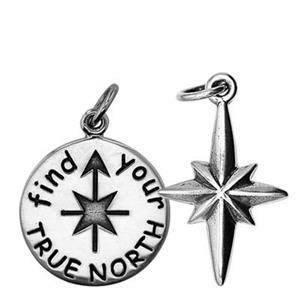 Inspire with word charms! Personalize it with monogram letter charms! Shop now. 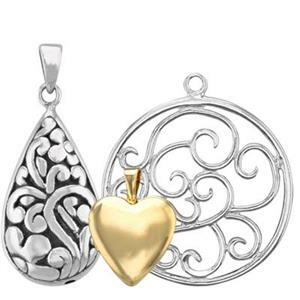 Our sterling charms and pendants are organized thematically in groups such as heart charms, religious charms, ocean charms, and travel charms. 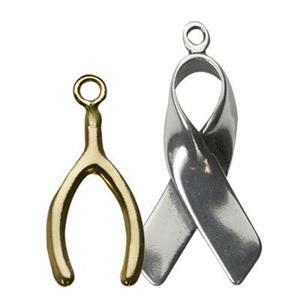 We offer options in other popular metals as well as sterling silver. Scroll down to shop online now. Be sure to browse other product categories of Halstead jewelry making supplies. Charms are an easy way to mix and match jewelry making elements to create a collection of bestselling adornments for resale. Simply choose your charm, add a jump ring if needed, and attach it to a chain for a complete piece of ready-to-wear jewelry in just a few minutes. Customers love these simple, comfortable necklaces and bracelets for everyday wear. 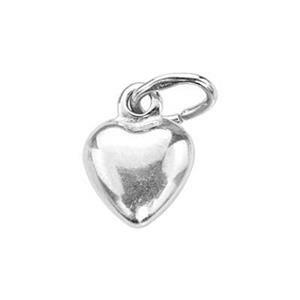 Customers love the symbolism of precious metal charms. Commemorate a milestone in life, remember a great vacation, or honor a loved one with these powerful talismans to wear on the body. 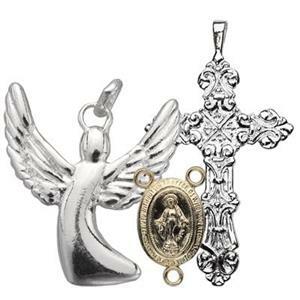 We have the best selection of hundreds of high quality metal charms to choose from for making charm bracelets, layering pendant necklaces, or other designs. 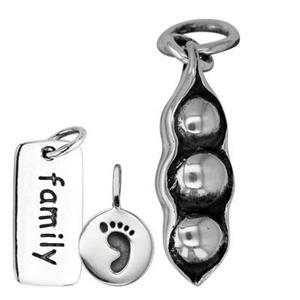 Sizes and weights of jewelry charms vary tremendously so be sure to view item details by clicking on the thumbnail images. You can filter page results by using the menu at the left to specify charms made in the USA or silver charms, for example. Flat metal blanks that can be stamped or engraved are shown in a separate section. Be sure to check out our huge selection of jewelry chain for necklaces or bracelets in sterling silver, gold filled and more.